On Wednesday 15th November Lincolnshire Senior XV will take on Derbyshire at Mansfield RFC, 7.30pm KO. Derbyshire are looking to retain the Eric Macklin trophy, of which they are the current holders having taken the title in 2016-17. All are welcome to go along and support the teams. Following the challenges of NLD’s 2016-17 RFU County Championship campaign the NLD Board have made the decision to have a year’s sabbatical from the RFU Senior Men’s County Championship competition in order to create a sustainable squad for the future. We will be working extremely hard throughout the forthcoming months to review the current position and put in place a strong, robust plan to enable NLD to compete successfully in the 2018-19 RFU County Championship. All other NLD Representative Squads will continue in 2017-18. It is with regret that the NLD Senior XV match against Oxfordshire due to take place tomorrow at Chinnor RFC has been called off as we are unable to field a front row to travel. This was not a decision taken lightly and we would like to thank all of the players involved in the Senior XV this season for their commitment and dedication. We would like to wish Oxfordshire the best of luck in the remainder of the competition and look forward to playing them again in the future. NLD are delighted to invite applications for Coaches interested in working with the NLD Senior XV and the NLD U18’s. Working with some of the best players in the Three Counties these are fantastic opportunities for ambitious coaches who would like to develop their Coaching careers. 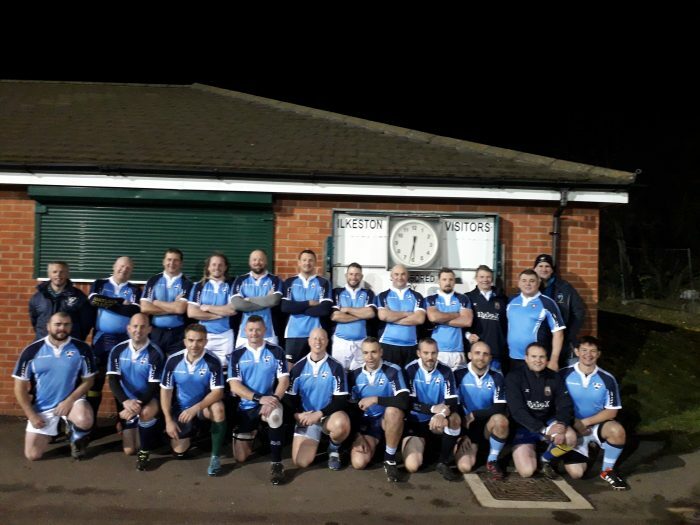 The NLD Senior XV play in the RFU County Championship Shield Competition and having narrowly missed out on qualification for the knockout stages last season will no doubt be looking to progress to Twickenham in 2017. The Senior programme runs towards the end of the season from March – May 2017. The NLD U18’s have already started their 2016 RFU County Championship Campaign and an Assistant Coach to join the existing set up is required to start as soon as possible. A copy of the NLD U18 calendar is available to view here. For more information on any of the roles please see the Job Descriptions below. The closing date for applications is Monday 24th October and interviews will take place week commencing Monday 31st October. Applicants should send a completed Coaching CV and Covering Letter to Nicole Brown. NLD Secure County Championship Victory Against Cumbria! The sun was shining at Mansfield RFC as the NLD Senior XV gathered to take on old rivals Cumbria on Saturday. The game started at a great pace with Cumbria taking advantage of the firm ground and making good progress into the NLD half. Some early penalties for the away team saw them kick to touch to gain territory and they moved into the NLD 22. This quick start from Cumbria galvanised the home side into action and Jake Lamb (Ilkeston) was first to break the deadlock as he scored a fantastic try to get the scoreboard moving. Having gone over just to the left of the posts it was a straightforward conversion kicked by Alex Taylorson (NTU). 7-0 NLD. Cumbria came back fighting and scored out wide, the conversion was missed but the score stood at 7-5. Lee Monks (Sheffield Tigers) was next to cross with white wash to extend NLD’s lead although the conversion was missed this time. Baptiste Chamagne (NTU) continue to pour the pressure on with a fantastic try under the posts and with the conversion good from Taylorson, plus a penalty NLD went in at Half Time with the score standing 22-5. In the first 5 minutes after the break it was another penalty to NLD and Taylor duly did the business to take the score to 25-5. Chris Starns (NTU) was the next player to join the NLD scorecard with a super try from the Wing. Taylorson added the points and took the score to 32-5. For the next 20 minutes Cumbria fought back and showed the spirit that has seen them as regulars in the County Championship Shield Final. They ran in three unconverted tries in quick succession to take the score to 32-20. Stretching the lead to 35-20 Taylorson kicked a fantastic penalty from just inside the Cumbria half. He did the same not long after and took the game out of the reach of Cumbria to 38-20. In the last play of the game Cumbria scored under the posts but it was too little too late and the score finished 38-27. Huge credit must go to the NLD side who secured the first NLD victory over Cumbria for some years. Attention will now turn to this weekend’s match between Cumbria & Staffordshire and the calculators will be out to see who will be making it through to the Semi Finals. Tomorrow afternoon (Saturday 30th) sees the NLD Senior XV take on Staffordshire at Leek RFC (3pm KO) in the first RFU County Championship match of the season. The squad sees some familiar faces return to the line up as well as number of new players making the step up to this level for the first time. NLD Head of Representative Rugby Lee Slack commented; ‘It is great to see some younger players coming through to the squad this year, including a number who have come through the NLD age group squads and most recently have played for the U20’s. As always a huge thank you to the clubs for their support and to the NLD Senior XV Coaching Team, we look forward to a fantastic game of rugby’. All supporters are more than welcome to travel to Leek to cheer on the squad and enjoy the live band and BBQ on offer by Leek RFC. There is an entry fee of £3 per person to the ground. NLD RFU’s Senior RFU County Championship campaign is fast approaching and the details for the two pool fixtures have just been confirmed. Head coach Bob Nashed and his coaching team have been looking at players at all clubs in the three counties throughout the season and have invited a training squad to the sessions. The squad will meet for the first time this week as training starts on Wednesday evening and will continue weekly until the campaign has finished. Mansfield have kindly agreed to host the squad for their training sessions and the home match against Cumbria at the beginning of May. The Derbyshire senior squad host Nottinghamshire at Chesterfield Panthers RFC on Wednesday 25th November – kick- off is at 7.30pm. This is the first senior fixture between the unions for a couple of years and promises to be an entertaining evening of rugby. Karl De Groot (Derbyshire head coach) commented – “I am really pleased that this fixture is happening following our match against Lincolnshire a few weeks ago”. All are welcome to come along and support the teams.